On December 4, the White House released Charting a Course for Success: America’s Strategy for STEM Education, a strategic plan developed with the White House Office of Science and Technology Policy (OSTP) and the National Science and Technology Council Committee on STEM Education. The five-year strategic plan seeks to ensure all Americans have access to quality education in science, technology, engineering and math (STEM). Goals include building a strong foundation of STEM literacy, increasing diversity in STEM, and preparing the STEM workforce of the future. The plan lays out pathways to these goals, including developing strategic STEM partnerships, engaging students at the convergence of multiple disciplines, and advancing computational thinking. More information and quick facts about the plan are available on the White House’s website. 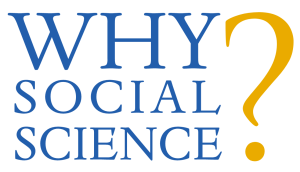 COSSA members are encouraged to sign up for the monthly Headlines webchat on December 13 a 2:00 PM Eastern, in which COSSA staff recap the most important social and behavioral science news from the past month and answer participants’ questions. The December chat will feature a deep dive discussion with Dr. William (Bill) Riley, Director of the Office of Behavioral and Social Sciences Research (OBSSR) at the National Institutes of Health (NIH), who will give an update on new initiatives at OBSSR and discuss the next steps for NIH’s controversial clinical trials policy. Individuals employed by or affiliated with a COSSA member organization or university can register for the webchat here. House Republicans have begun to announce committee leadership appointments for the 116th Congress, following the loss of their majority in November’s election. As a result of a historic number of Republican retirements, including nearly half of all committee chairs, and a loss of 40 House seats in the midterm election, there will be many new faces among Republican committee leadership in the new Congress. Notably for social science, Rep. Frank Lucas (R-OK) will serve as the ranking Republican on the House Committee on Science, Space, and Technology and Kay Granger (R-TX) will be the ranking Republican on the House Appropriations Committee. Lucas has previously served as Vice Chair of the House Science Committee and Granger previously led the powerful Defense subcommittee of the House Appropriations Committee. While House Democrats have yet to announce the official roster of committee chairs for the new congress, Rep. Eddie Bernice Johnson (D-TX) is expected to take the gavel of the House Science Committee (and has already announced her priorities), and Rep. Nita Lowey (D-NY) is expected to lead the House Appropriations committee. Appropriations subcommittee chairs and ranking members have not yet been announced. The Council of Professional Associations on Federal Statistics (COPAFS) has announced that Cynthia Z.F. Clark will serve as its next Executive Director effective December 3. Dr. Clark most recently led the National Agricultural Statistics Service (NASS), one of two Department of Agriculture statistical agencies, from 2008 until 2014. She succeeds former Census Director John Thompson, who retired from the organization earlier this year. COSSA congratulates Dr. Clark on her appointment and looks forward to continuing to work closely with COPAFS on issues affecting federal statistical agencies.